PVC Reducing Piece - Threaded - Spigot BSP x Socket BSP or Male BSP x Female BSP . 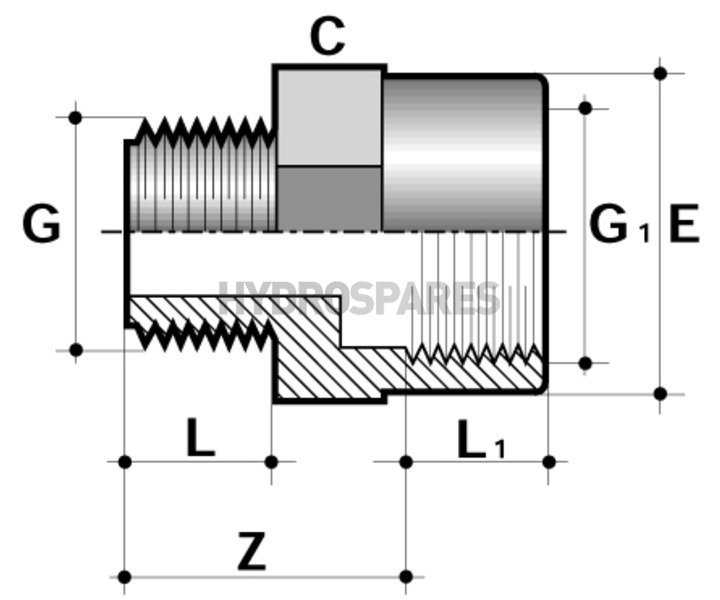 Threaded reducing pieces have a male threded (BSP) end and a female threaded BSP end. 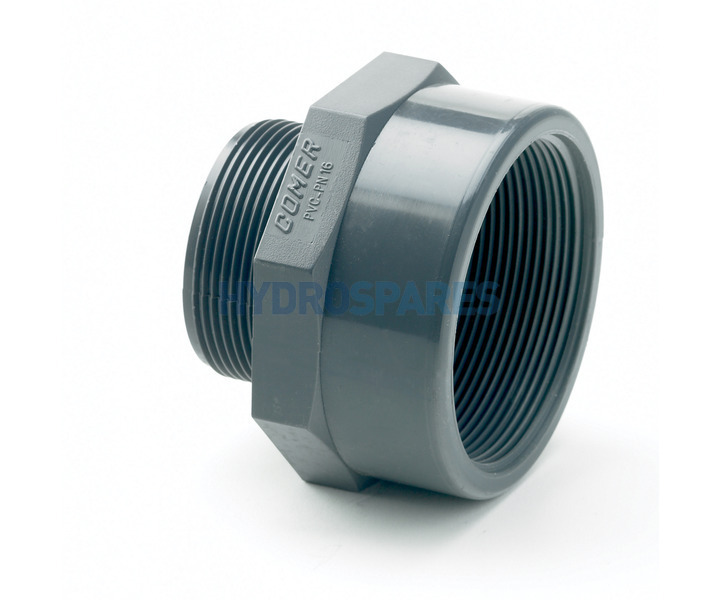 These fittings allow you to join female threaded pipe to male threaded pipe.